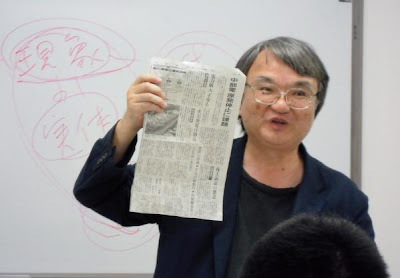 MATSUZAWA Hiroshi, the President of the Union Against Restructuring in the Fuji-Sankei Communication Group and former lead writer for Fuji-Sankei Group, gave　a　lecture　titled　"Nuclear　Accidents　and　the　Mass　Media"　on　May　8th　in　Musashikosugi, Kawasaki City. 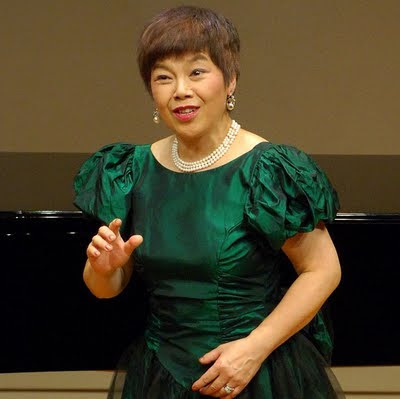 The　lecture　was　attended　by　more　than　40　people　and　was　broadcast live　on　Ustream,　with 430 viewers. Matsuzawa spoke from his experience　as a reporter covering TEPCO, the Ministry of Economy, Trade and Industry, and producers　of　nuclear　power　plants,　such as Toshiba and Hitachi. 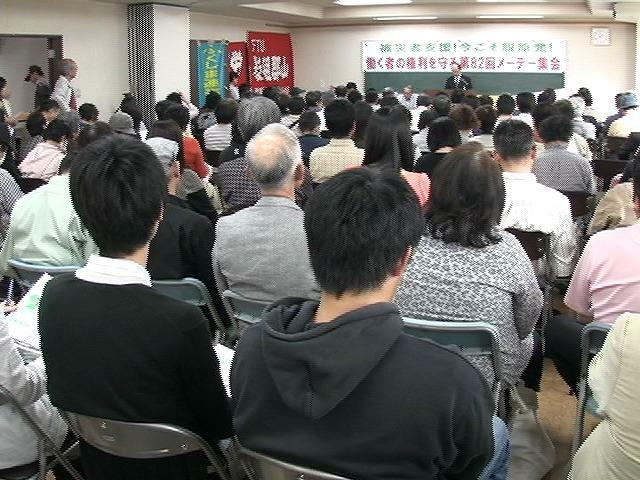 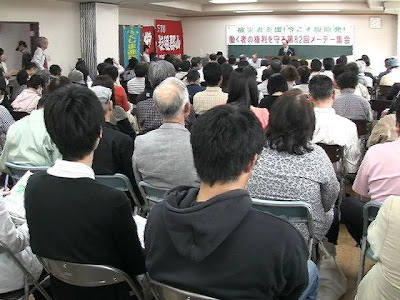 Some 200 people gathered at a study conference on Fukushima Nuclear Power Plant and the disaster titled, “Protect Fukushima’s Children from Radiation!” on April 30. 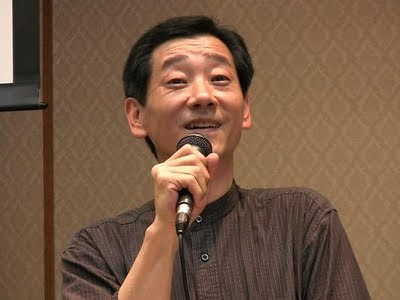 Kazumasa Aoki of a group to think about aging Fukushima Plant, reported on many messages from parents in Fukushima Prefecture regarding the issue on 20 mSv level. 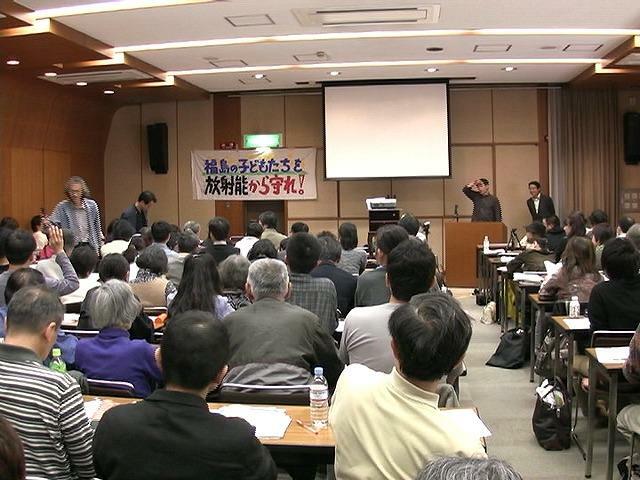 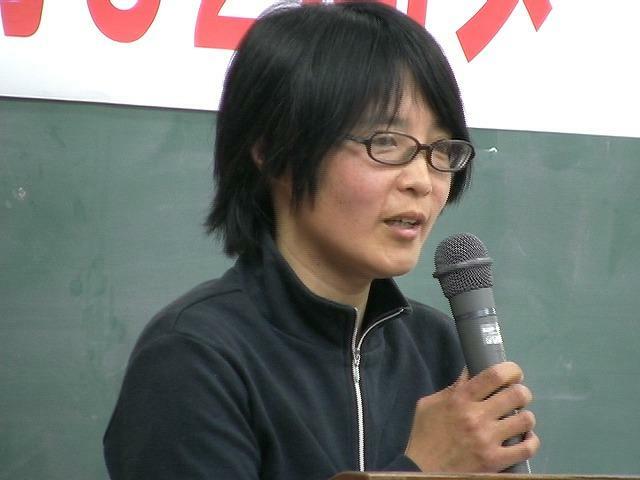 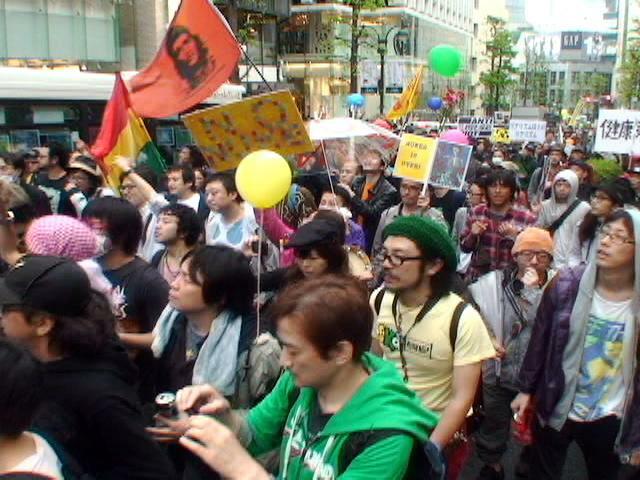 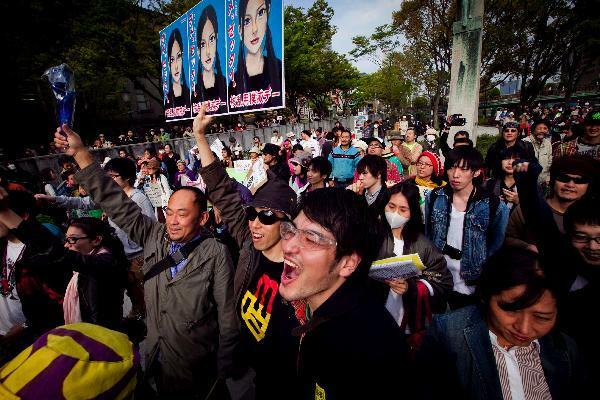 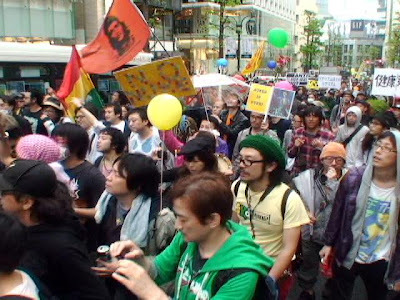 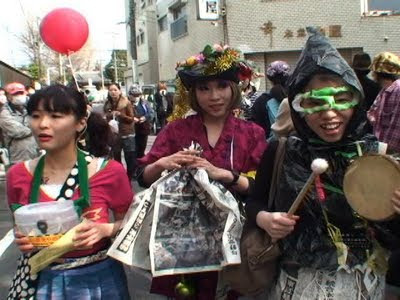 “We can see their concerns and anger in the messages,” Aoki said at the conference, held at Tokyo’s Zensuido Kaikan. 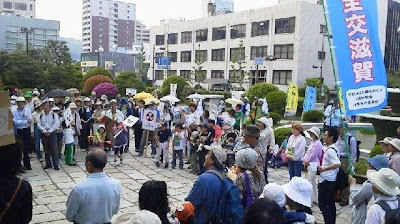 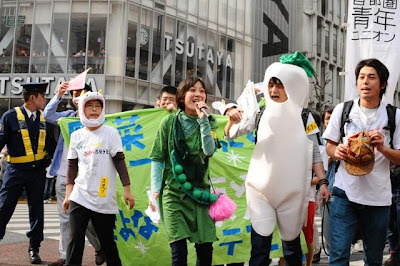 Fukushima parents are ready to stand up for their children after they expressed their determination at a rally on May 1 in Fukushima to protect the children from radiation. Representatives from the prefecture were to gather on May 2 to demand that the government, Ministry of Education and Science and Nuclear Safety Agency revise the 20mSv level. 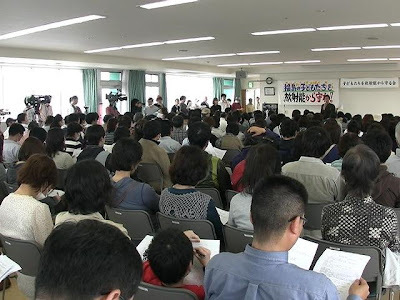 “We will deliver soil from Fukushima schools to Ministry of Education and Science on the 2nd,” Seiichi Nakate, photographer and representative of Fukushima conference on reconstruction from the nuclear disaster, said. 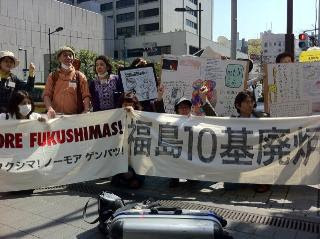 “We will not return to Fukushima until the government revises the level of radiation.” This is the time we must strive in the nation’s capital is questioned. 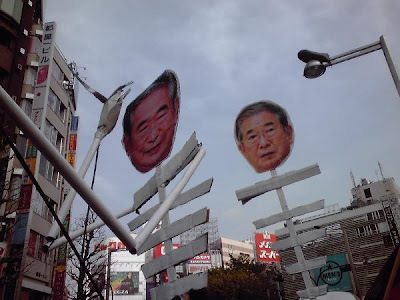 (By Masanori Yumoto) See report & video on UnionTube. 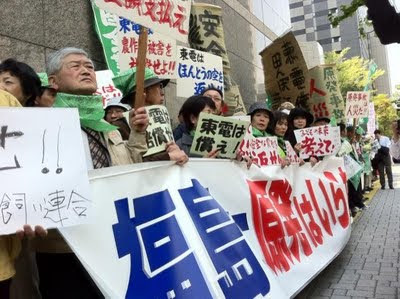 Nagoya District Court handed down a ruling on April 28 on a lawsuit filed by two plaintiffs from Aichi Rentai (Solidarity) Union against Panasonic Eco-Systems concerning unfair dismissals. 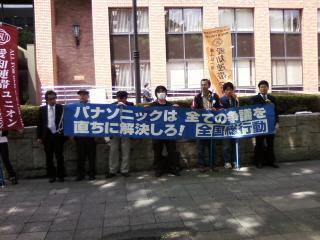 The lawsuit lasted three years. 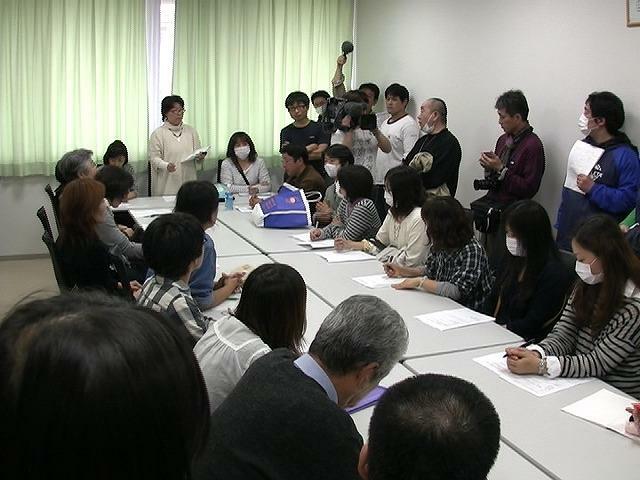 The court ruled that the company violated trust by dismissing temp workers who were working hard just because it found replacements. 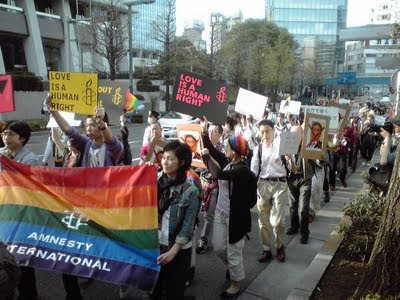 “The company had committed an illegal act in dismissing the plaintiffs for no reason or fault after it forged occupation and led them to hope for stable positions,” the court said. It confirmed the facts presented and ordered the defendant to pay 1 million yen and 300,000 yen to each plaintiff for compensation. 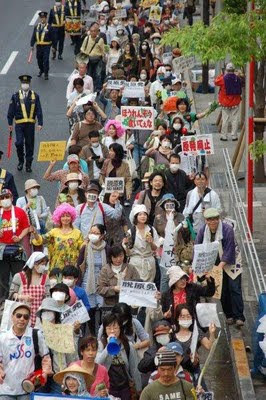 Two trucks loaded with cows and spinach parked by Tokyo Electric Power Co. in the afternoon of April 26, 25th anniversary of Chernobyl. 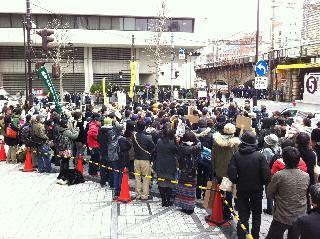 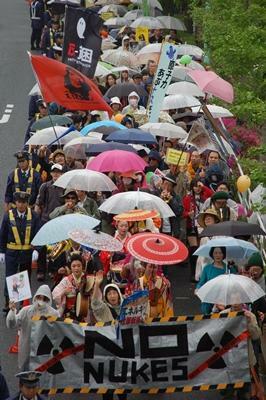 Some 350 supporters and members of farmers unions of Fukushima, Ibaraki and Chiba lined up in front of TEPCO building. 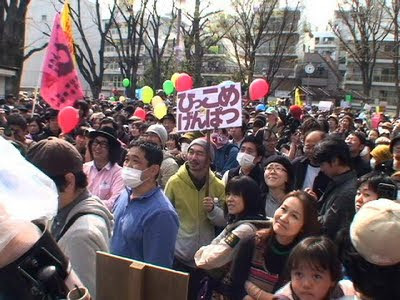 The tanned faces of farmers were looking serious and tense while media flooded to the rally. “I can’t forgive you for contaminating my rice paddy, TEPCO,” “No Moooooore of this,” “The complete safety was a lie,” “Give me back my cow and my land,” words on the panels expressed their anger loud enough. 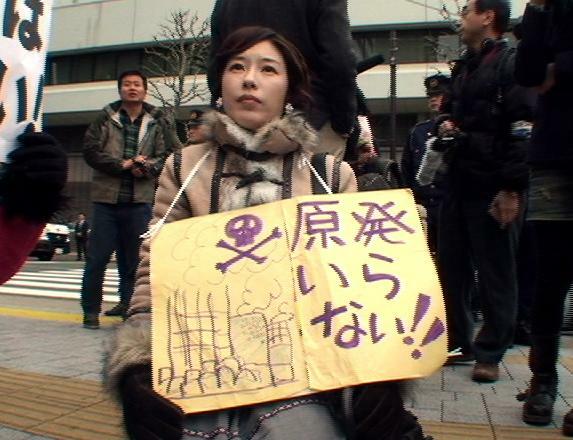 A group of representatives handed TEPCO a demand that the company pay victims of nuclear explosion for their losses. A worker in charge of the issue came out later and apologized. 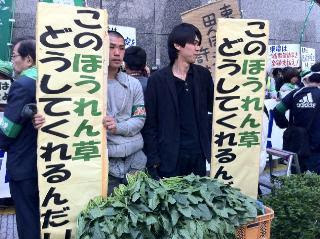 “I want you to broadcast the truth,” a farmer was telling NHK television crew. 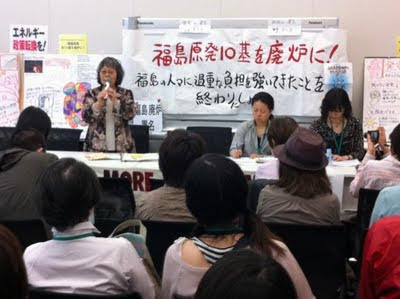 “You should air the program, ‘Truth revealed 20 years after the Chernobyl accident’ again.” (By M) See photo spot news & video on UnionTube.